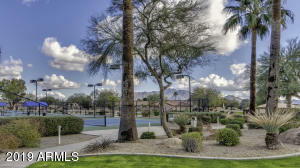 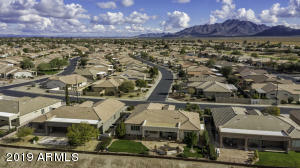 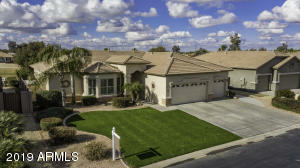 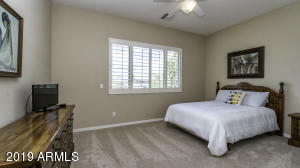 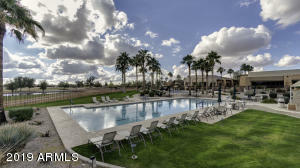 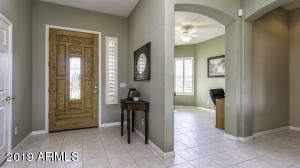 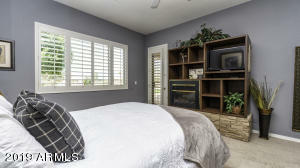 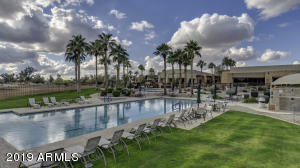 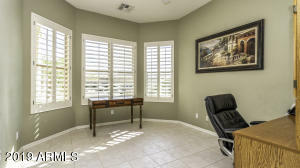 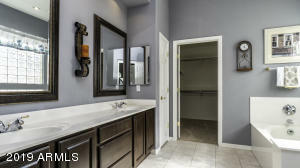 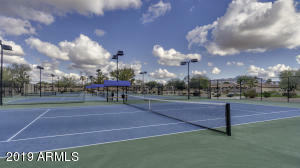 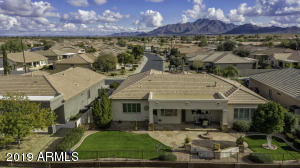 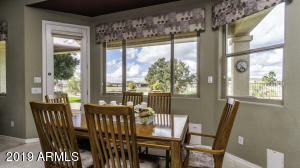 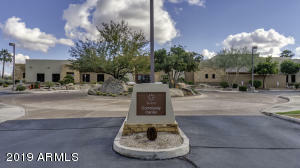 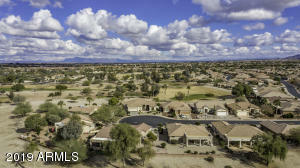 Located in the highly-sought-after community of Solera with luxury amenities like no other. 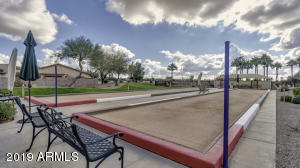 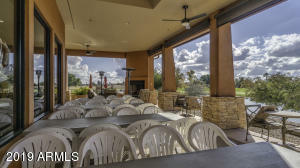 Enjoy the Lone Tree Golf Course, pickle ball, tennis, a year-round heated pool, the community center, a restaurant & so much more. 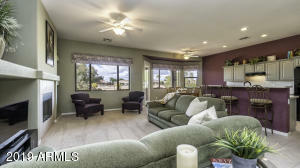 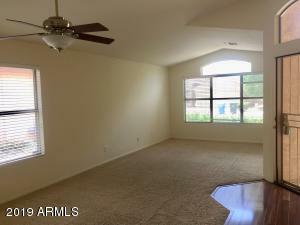 The popular Sedona floor plan offers spaciousness with an open concept. 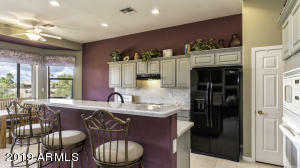 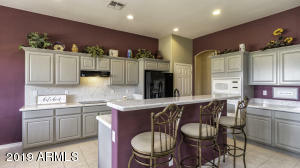 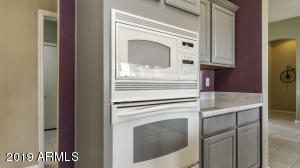 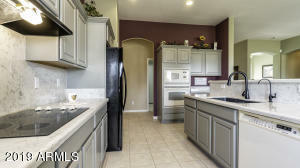 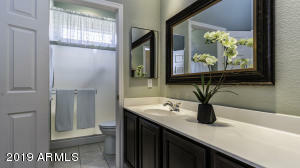 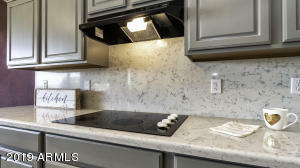 The recently upgraded kitchen boasts neutral colors & stunning Quartz counter tops. 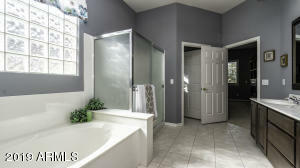 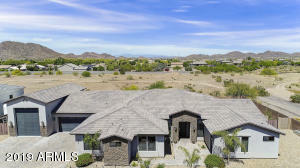 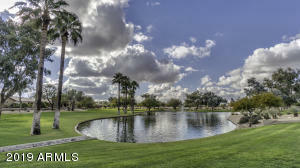 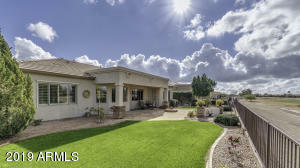 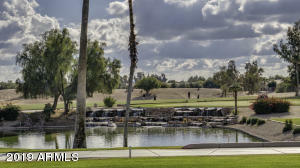 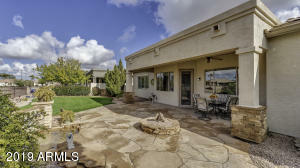 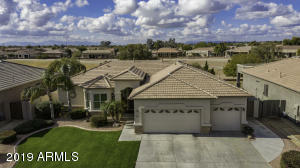 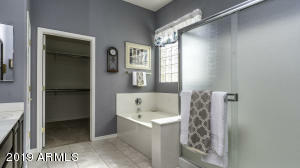 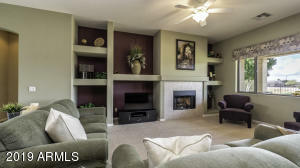 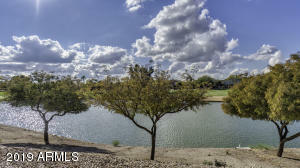 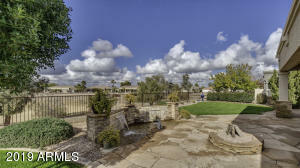 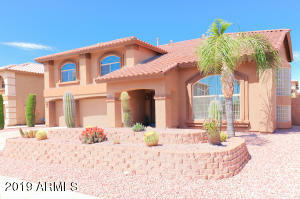 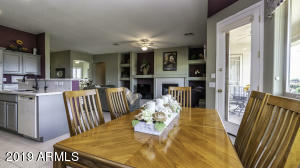 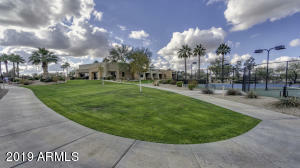 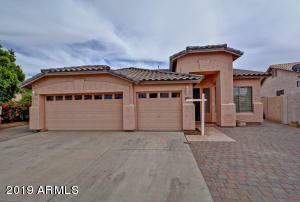 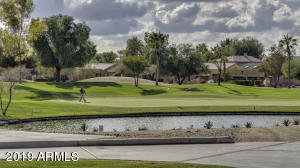 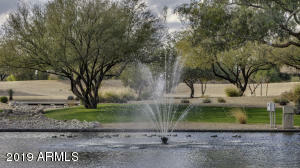 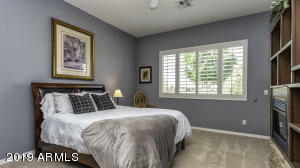 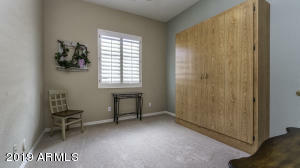 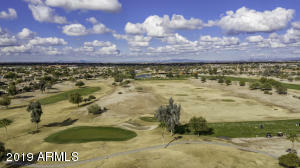 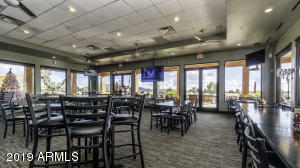 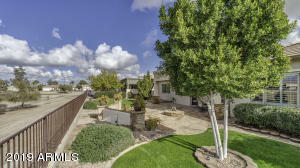 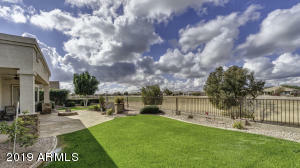 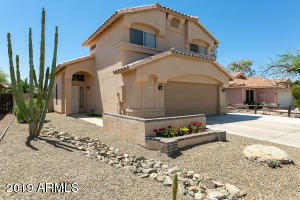 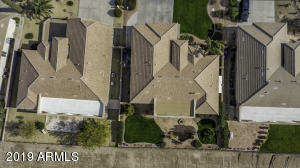 Situated on an ideal golf course lot without the worry of golf balls in the yard. 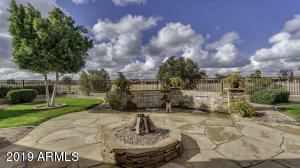 Enjoy the extended patio & custom built water feature with plenty of space to entertain family & friends. 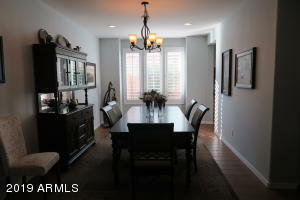 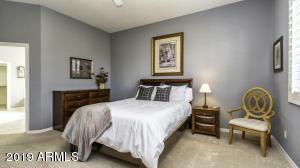 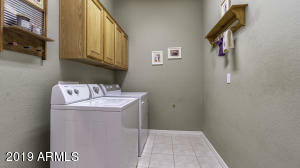 Meticulously maintained & 100% ready to move-in. 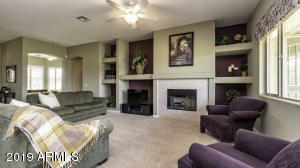 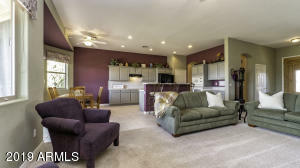 This home is an easy lock n' leave with luxury living at its best! 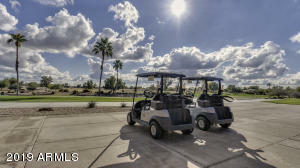 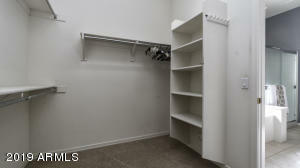 Bring the golf cart, you'll have more than enough room in this 3 car garage for storage. 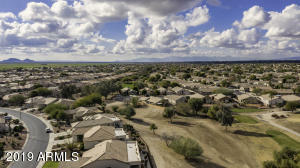 Gilbert East to South Mountain Blvd. 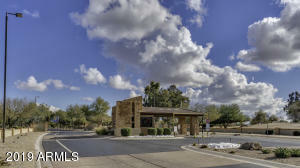 Thru Solera gated entry (guard gate) to S. Bradshaw Way. 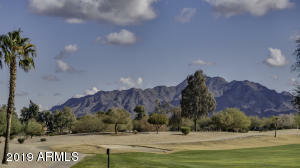 South to County Down. 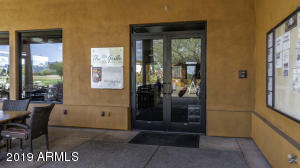 West to Santa Rita Way. 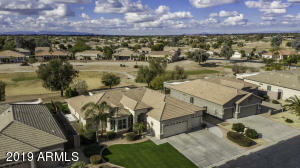 South to Home.